I am hosting an impromptu Muffin Club for Moms and I have a feeling at least a few of you may want in [click here to join - it's free!]. Since a book club still seems like a distant dream, one thing I can commit to in the real day to day right now is baking once a week, every Monday, to both keep myself accountable and healthy snacks on hand in our home. As I gear up for postpartum, this is part of the meal prep I am also committing myself too in hopes for a slightly smoother transition come my third child's arrival in August. The good news is that whether you are expecting a little one soon (like me), early on in your pregnancy and wanting to find some tried-and-true muffins for future postpartum prep, or are a fellow busy mama who just wants to make life a liiiiiittle more streamlined, efficient, and low-stress, this Muffin Club is for you. You likely saw me talk about this in my stories last week (if you follow me on Instagram). Considering how enthusiastic the response was when I threw out this idea, I opted to postpone the content I had planned to share on today's blog post to instead breakdown a bit more info on this upcoming Muffin Club for Moms and how you can get in on it (if you'd like to!). 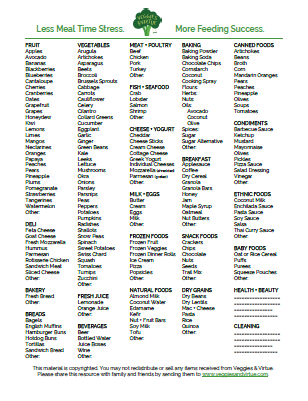 Search, find, and organize muffin recipes that I personally approve of as a dietitian-mom. I won't necessarily have personally tried each of these in advance, but I will select from those that in good faith (and with due diligence to research reviews on) are going to taste awesome and offer worthwhile nutrition for you and your family. Share on my Instagram a picture and/or story about the muffins we are making for the week using the hashtag #muffinclubformoms. Check the recipe for the upcoming week so you can make sure you have the ingredients on hand. You can find this recipe on the email I send out each Saturday morning titled, "New Recipe for Muffin Club: ________." To join this email list and get this recipe in advance to your inbox, make sure to sign up here. Enjoy the muffins! Email me in reply to my weekly recipe emails or send me a PM on Instagram with questions, feedback, etc. so I can hear how each week's muffins go over in your home! I have already received several questions about making muffins in advance and the logistics of doing so to freeze and enjoy again later. To address some of these questions, I have provided the questions and my answers below. What kind of muffins will be included? As discussed in the initial Instagram post for this idea, the plan is for these are to be healthy, homemade muffins. Set your expectations for them to taste delicious AND nutritious as a nutrient-dense breakfast, snack, or anytime option! If you are wanting a muffin that is delicious but not so nutritious, I am probably not your gal nor is this going to bring you the type of snack you have in mind. The pre-made options you will find at most coffee shops and grocery stores are better suited for those decadent versus nutrient-dense options. What type of ingredients will these muffins be made from? Since I personally can't consume gluten, I usually bake gluten-free to ensure I can eat whatever I make (even if my girls opt not to). When possible, I use oats/oat flour, almond flour, or coconut flour as the base, or a gluten-free all purpose flour (as a substitute for a whole wheat flour or when specified). You are welcome to make your muffins with whatever flour is called for or is your preference (i.e. whole wheat instead of a gluten-free flour). I am by no means endorsing a gluten-free diet is appropriate for everyone; this is simply how I cook for my family so the recipes chosen will naturally reflect that. As for other ingredients and allergens, please be sure to review the recipe in advance if you have questions about substitutions or concerns about omitting allergens. I'd be happy to help provide guidance on this for those who need nut-free, dairy-free, egg-free alternatives, if asked. Otherwise, I am not looking to make anything fancy here folks! Most every recipe will be selected with the common home kitchen and pantry in mind, as I value recipes that use our everyday staples vs require exotic (or especially expensive) ingredients. What is the best way to store muffins? For the muffins that I plan we will eat the week of, I usually store them in a glass Pyrex with a snapware lid (as seen on my Amazon shop - affiliate link). I don't want to tie these glass storage containers up long term however, so for freezing I use a gallon-sized freezer Ziplock and/or a metal disposable container with heavy duty foil top (I find the best size options and price for disposable metal pans at Dollar Tree). What is the best way to freeze muffins? Ideally, I recommend that after the muffins have cooled and come to room temperature, to transfer them on a cooling rack (or in the original muffin tin) to a freezer for 30+ minutes to flash freeze individually. Once quick-frozen, transfer muffins to a sealed, freezer-safe container (see question above). This will help them to not stick together but prevents you from having to waste the time or product to wrap each muffin individually. What is the best way to keep muffins tasting fresh? Especially during hot summer months, I recommend you keep your fresh batch of muffins in the fridge (once they have cooled). Most will mold at room temperature if left out for more than 1-2 days, so I suggest storing them in the fridge and then pulling them out in advance to bring them to room temp on their own before eating or by quickly warming them up in the microwave (~10 seconds). What is the best way to thaw frozen muffins? When you go to thaw your muffins from the freezer, simply transfer the container of them to the fridge. Allow them to thaw on their own, or take one and put it on a paper towel to microwave (~15-30 seconds depending on how frozen they are). You should be able to transfer the whole container to the fridge to enjoy, or you can remove one muffin at a time from your freezer stash and thaw in the microwave. For muffins with more moisture, you may want to consider putting a paper towel inside of the container/Ziplock to absorb it as the muffins thaw. How long do the muffins last in the freezer for? From my experience and the notes I have read on many muffins recipes, most muffins are fine to be stored in the freezer for up to 2-3 months (assuming they have been well-sealed). When you put each batch in, just be sure to label with the name and date and then rotate using First In, First Out method when it comes to eating those that have been frozen. Interested in the recipes I have already shared? You can still join Muffin Club and get eight week's of my favorite healthy muffin recipes here!